The yellow perch, Perca flavescens, is a popular panfish to chase all year ‘round. Their natural curiosity and voracious appetite make them easy and fun to catch, contributing to their introduction beyond their naturally northern range. As a result, they can now be found as far south as Ohio and South Carolina. 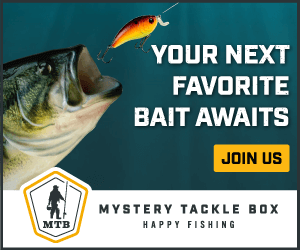 Perch behavior is subtly different from bluegill ans crappie, and the key to catching these fish is understanding how their habitat choices and feeding behavior interact with their marked curiosity. This gives anglers a variety of approaches to attracting bites, but it’s important to recognize what sets perch apart from other panfish species. Once you do, expect fish after fish to end up on your line! Chum, chum, chum – Perch move much of the time, and if you want to catch them, you need to keep them under you. One trick we recommend (where it’s legal) is to cut some minnows or cocktail shrimp into tiny pieces and toss them through the ice. Their scent will attract perch over pretty fair distances, and it can keep a school grouped under your hole. More than one line in the water at a time – Where legal, a trick that works well is to fish more than one line. For instance, you can have a dead stick working in combination with a flashy spoon like the Dardevle. When perch come to investigate the jig, they may take it, or opt for the minnow on your deadstick. Two anglers can work the same kind of tactics, jigging different options to keep the perch interested and give them a sense that there’s plenty to feed on. Pound the ground – Perch are attracted to clouds of sediment. Try dropping a heavy spoon and tapping the bottom a few times before switching to a jig you’d like to fish. Chances are, that sediment will attract perch, and you’ll be pulling them onto the ice in no time! Use a leader – Especially in clear water, a leader will land more fish. We recommend 2 to 4-pound braided line with a 2 to 3-foot fluorocarbon leader. That combo is incredibly sensitive and all but invisible. Early season perch stick to structures. Whether that’s a green weed bed, the tangle of a downed tree, a dock, or a submerged rock, you’ll find these predators near cover. Unlike crappie, however, they aren’t as single-mindedly predictable, and schools will congregate in different locations and at diverse depths. That doesn’t mean that perch don’t follow a pattern, however. They tend to favor transitional areas, where the bottom moves from mud to sand or sand to gravel. And early in the season, they’ll stick to vegetation and shallow water. As the season progresses, though, they’ll move to deeper water and drop-offs. They’ll also roam to hunt, and you shouldn’t expect schools of perch to sit still for long. That’s something perch experts know well, and it’s often easier to attract them than to chase them. That’s because their unrelenting curiosity and appetite can be used against them. Perch are inquisitive, and anything that flashes and vibrates or stirs up the sediment from the bottom can attract an entire school. Even lures that are far too large for them to take can draw them near your holes, and an old trick on the open water is to disturb the bottom with an anchor and wait for the perch to arrive. Experienced anglers turn these behaviors to their advantage, and we’ll discuss that more below. Perch are a foundational prey species, and most predatory fish are looking to eat them, explaining why they stick to cover. But they’re predators themselves, and you can expect to find them biting from dawn till dusk. As with many species, the 90 minutes around sunup and sundown are prime times, but they’ll often feed mid-day as well. Be prepared to stay on the ice all day, and if nothing else is biting, perch may still be feeding, especially if you’re dropping the right stuff. Careful studies by scientists reveal that more perch are caught on live minnows than anything else, and minnows are always a top choice. 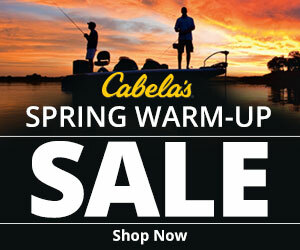 But there are excellent artificial options that avoid the hassle of live bait. No surprise here–this awesome Rapala jig is as effective on perch as it is on larger species. Because perch are cannibalistic, perch-colored designs are an excellent choice. Slight movements of your rod tip will send this Jigging Rap into the kind of gymnastics that injured fish perform, exciting perch to strike. Deadly, deadly, deadly. What else is there to say? A proven lure for quite some time, we prefer the 3/16 ounce, and the tiny 1/16 and 1/32 ounce options (if you can find them!) in silver and brass. Having a variety of colors on hand is always a good idea, and Dardevle delivers a huge range of choices! Small jig heads are just as deadly on perch as they are on crappie, and color variety is just as important. We prefer jig heads in either 1/16 or 1/32 ounce, and we like to sweeten them with minnow heads or soft baits. 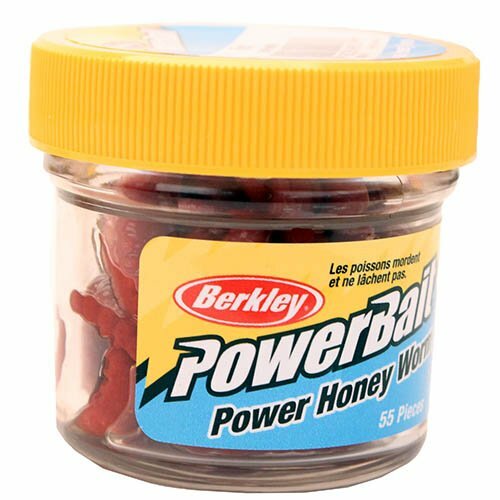 Berkley’s Honey Worms are an ideal jig sweetener. If you’re having trouble keeping a minnow head on the hook, try holding it in place with one of these. Perch clearly prefer minnows, and Berkley offers a tiny alternative to live bait. These 2-inch shad-imitating soft baits move like the real thing, and perch simply can’t resist them. Perch aren’t a hard fish to catch, especially once you understand what sets them apart from crappie and bluegill. Unconventional techniques like flashing a large spoon in combination with a small jig or sweetening your hook with a tiny cocktail shrimp may seem strange, but they can turn an unproductive afternoon into a hot day fishing in no time. Give these tips and tricks a try, and leave us a comment to tell us how they worked! Here are more general ice fishing tips and techniques!